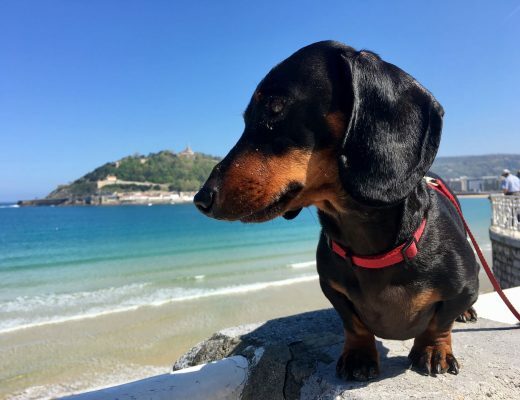 Since the rules on taking dogs into the UK were considerably relaxed at the start of 2012, it’s become possible for holiday-makers to bring along their dog. (Prior to this, dogs were required to be vaccinated for rabies, blood tested, and then still quarantined for 6 months!) While the UK (including England, Wales, Scotland and Northern Ireland) is not quite as dog-friendly as some European countries, it’s still a great country to travel in with a dog, with many dog-friendly options. Find out everything you need to know about travelling in the United Kingdom with a dog. Up until Brexit: As part of the EU (for now), travelling to the United Kingdom with a dog requires the same paperwork as travelling to anywhere else in the European Union. In the UK this is also referred to as the Pet Travel Scheme (or PETS). For the full details published by the UK government, click here. If you are travelling to the UK from elsewhere in the EU, your pet requires a microchip, pet passport and a rabies vaccine at least 21 days before hand. 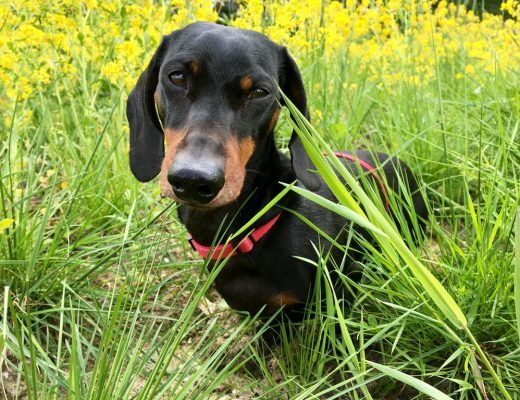 Additionally, the UK is one of the short list of European countries where your dog requires a worming treatment done by a vet (and recorded in their EU Pet Passport or elsewhere), between 24 hours to 120 hours (5 days) before arrival. The exception is if you are travelling directly from Finland, Ireland, Malta or Norway. This is strictly checked, down to the hour. Be prepared for the officials to also check the rest of the paperwork for your dog, including closely checking its rabies vaccination records (unlike when travelling elsewhere in the EU). If you’re heading across to the UK on a ferry or driving your car onto the Eurotunnel, your dog’s paperwork is checked before departure, while still in Europe. If there’s an issue, you will not be able to board. 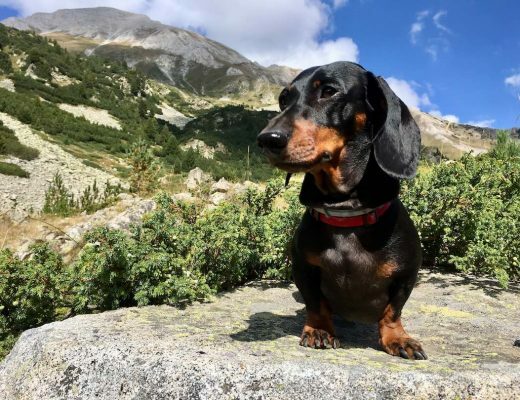 If you’re travelling to the UK from elsewhere in Europe or from another part of the world, check out my straightforward guide to the paperwork required for your dog to travel to the EU. The rules are similar to travelling from elsewhere in the EU, except your pet may also require a rabies titre test and you will require an animal health certificate in lieu of a pet passport. If you are travelling to the UK via no more than a couple of days in another EU country (such as flying into Amsterdam then taking a ferry across), before departure prepare your pet for heading to the UK. Have the worming treatment done prior to your initial flight to Europe (but less than five days prior to arriving in the UK) and have it included in your animal health certificate. An extra warning for dog owners from outside of Europe who firstly travel to continental Europe and only later travel to the UK: When you go to the vet to get the worming treatment, they will likely give you an EU Pet Passport and record the treatment in there, to show when heading to the UK. Also request the vet to record your dog’s rabies vaccination, from the animal health certificate you used to enter Europe, plus keep the certificate. 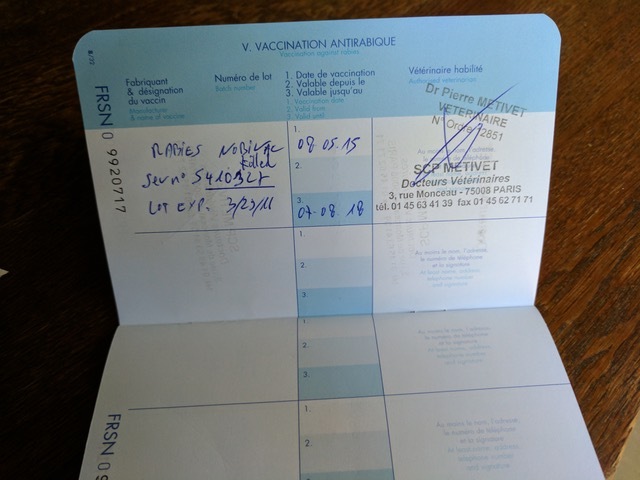 When I travelled to the UK from France, the vet had done this, and while the officials questioned the fact that the rabies vaccination was dated before the EU Pet Passport (and the microchip reading date recorded in it), when I showed them our additional paperwork, they let us through. Unless you are travelling from Ireland, it can be tricky to travel into and out of the UK with a dog. 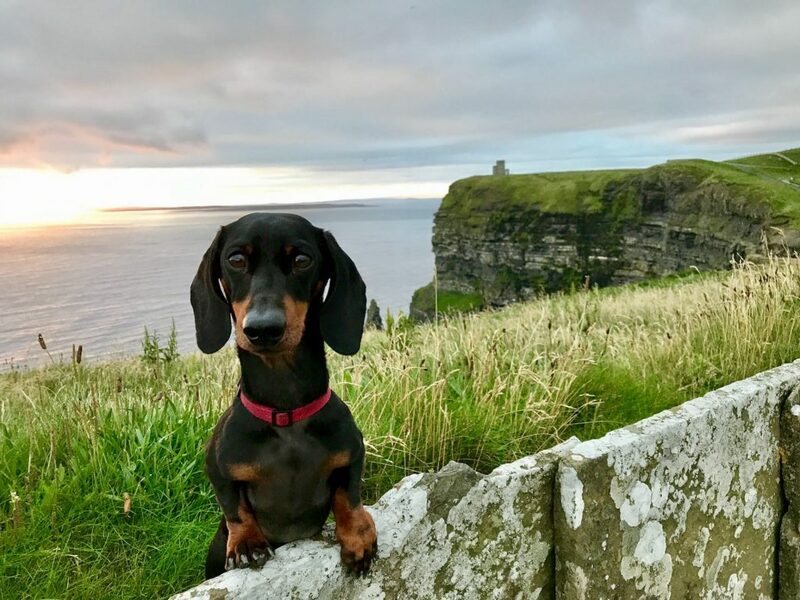 The UK only allows dogs to travel into the UK (whether England, Wales, Scotland or Northern Ireland) from outside of Ireland on approved routes. In particular, dogs cannot fly into the UK in the cabin (not even as checked luggage, cargo only), except for assistance dogs. Plus, the Eurostar train from France does not allow dogs, except for assistance dogs. 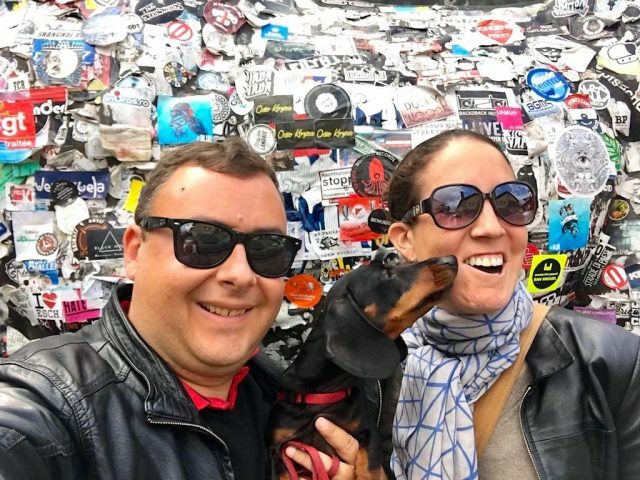 This is a complicated area, so check out my detailed post on all the options for travelling with a dog between the UK and continental Europe with a dog. If you are travelling with a car, it’s fairly easy and straightforward just to take the Eurotunnel or one of the many ferries across the channel. I included more details about these options in the post. However, if you are not taking a car across, your options are more limited. There are a few ferries that allow foot passengers to take a dog, but not many, or else there are a few taxi services that will take you in a taxi on the Eurotunnel. Again, check the full details in the linked post. If you’re travelling from outside of Europe to the UK, you have two options. The first option is to fly directly into the UK with your dog as cargo, using an approved carrier (to an approved airport) and pass through customs in the UK. This may require using an animal transport company and can be quite expensive. 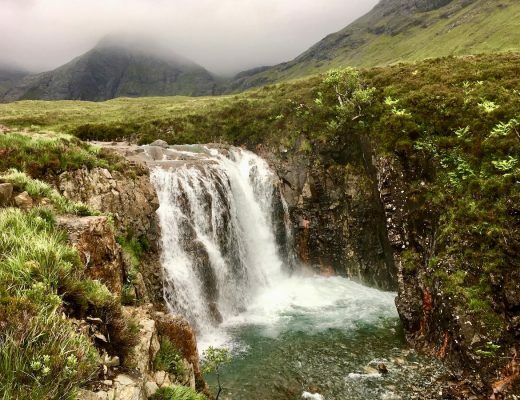 Alternatively, travel to somewhere else in Europe first, then travel onwards to the UK using one of the options mentioned above, as fully explained in this post. Did you know that dogs are allowed on the tube in London for free? 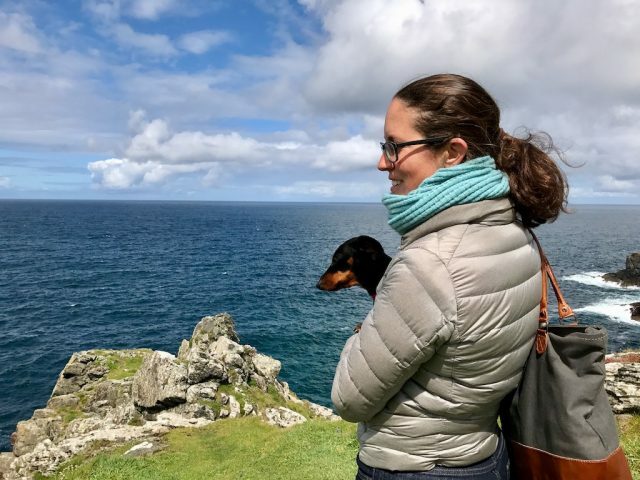 Luckily, once you’re in the UK it’s a lot easier to travel around with a dog, including between England, Wales, Scotland and Northern Ireland, and if you also visit Ireland. Dogs are generally allowed on public transport in the UK. The one exception again is flying: dogs are not allowed in the cabin on any UK airline, except for assistance dogs, and most airlines insist on dogs flying as cargo. For starters, on trains in the UK, dogs are allowed and even travel for free! This applies to both small dogs (in a container) or larger dogs (that need to be on a leash). Up to two dogs can travel per passenger for free. If travelling in a sleeper cabin, a fee does however apply. For a full list of the regulations, check the National Rail website. This is legislated to apply to all train companies in the UK. Additionally, dogs are allowed to travel on the underground and buses in London for free! There is the caveat that dogs may not be allowed “if there is a good reason to refuse it”, which does sometimes come up for people taking larger dogs on buses. (Smaller dogs or dogs on the underground are unlikely to be refused.) Plus, if using the underground, dogs are meant to take the stairs or lift (if available), or otherwise be carried on the moving escalators. (According to the rules, if only an escalator is available and your dog is too large to carry, they will stop it for you if it’s not “busy”… But in reality I didn’t see this happen.) Dogs should be in a container or on a leash. Outside of London, the rules for taking dogs on buses and other local transport differ between companies. Some companies allow dogs, sometimes for free, while other companies don’t allow pet dogs. For instance, when I was in Manchester, our small dog was allowed on the bus for free (although we okayed it with the driver), while dogs aren’t allowed on the trams in Manchester. Check the individual company regulations, or be prepared for a possible refusal. If travelling across the Irish Sea to either Northern Ireland or Ireland, dogs are allowed on most ferries. Depending on the ferry, dogs are usually left in your vehicle or on-board kennels are available. 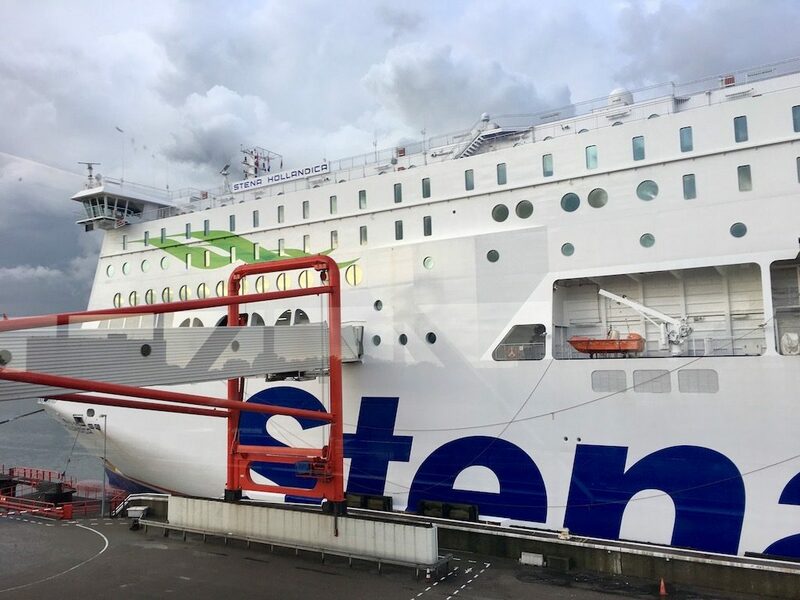 Additionally, I selected the Stena Line Ferry between Cairnryan (Scotland) and Belfast as the most dog-friendly ferry to Ireland, as small dogs in a dog carrier can be carried on board with you. (Plus it’s about the quickest crossing available!) Dogs can freely cross the border between Northern Ireland and Ireland, at least for now. 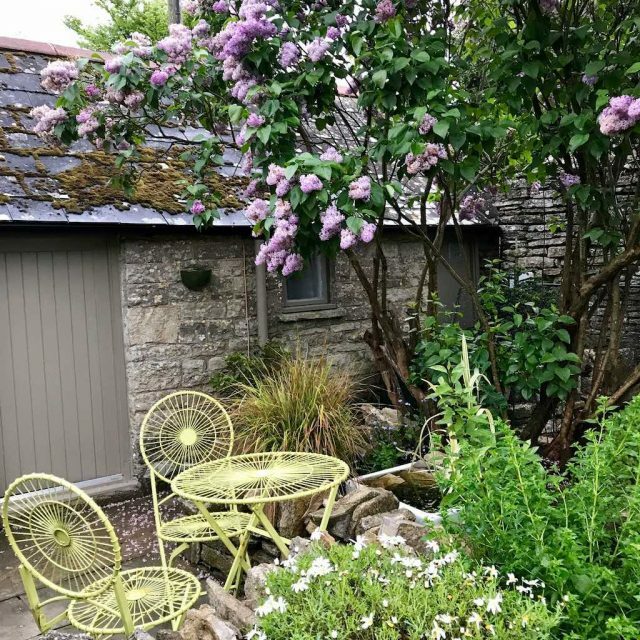 The UK offers a diverse range of dog-friendly accommodation, ranging from upmarket hotels with special services for dogs, to homely country pubs and cottages. 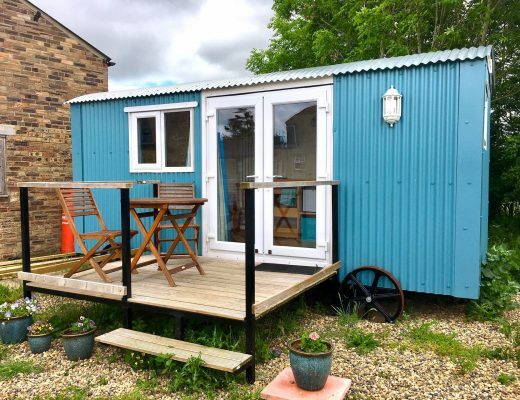 Many Airbnbs in the UK will also allow dogs, although I often found that they pointedly request that dogs are not left in the properties by themselves. Note though that compared to some parts of Europe where the majority of hotels allow dogs, in the UK dog-friendly properties are definitely in the minority, with London close to the bottom (based on percentage of properties) in my investigation into dog-friendly hotels in Europe. The shear number of hotels in London helps to make up for this, but be sure to book your accommodation well in advance. 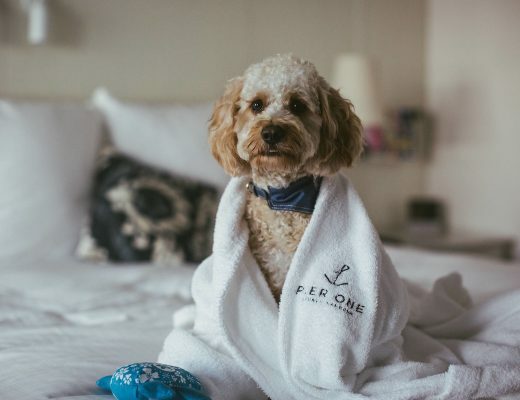 If you’re staying in London, check out my list of the best dog-friendly hotels in London, ranging from the luxurious through to the affordable. 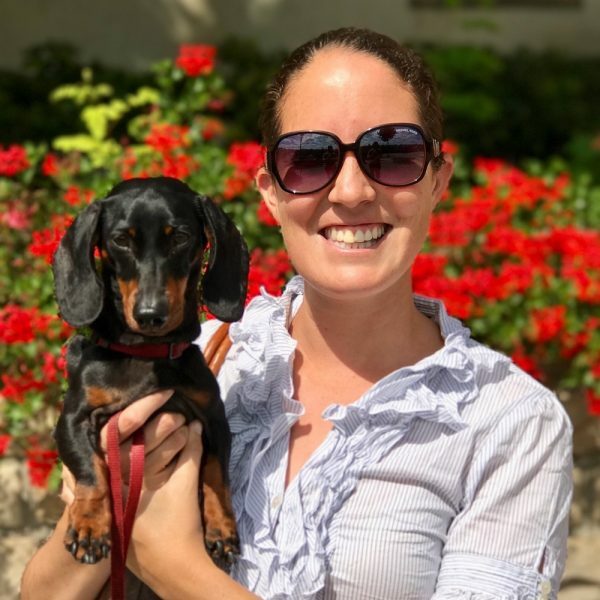 While it’s not as common for restaurants and cafes in the UK to allow dogs inside as in Germany and Italy, there are a small and increasing number of dog-friendly establishments. To discover some excellent options, search for online listings or ask your accommodation. One of the most likely dog-friendly options are the ubiquitous pubs in the UK. As well as being a bastion of Sunday lunches, most pubs allow dogs in at least part of them, whether it’s in the city or the countryside. It just may mean eating in the more simple bar area, rather than the formal dining room. Given the weather in the UK isn’t that reliable, it’s certainly a relief to find somewhere to hang out on a cold, wet evening, indoors with your dog at your side. Just always ask first, as there are some pubs that don’t allow dogs. Looking for a dog-friendly cafe in the UK, including special pet cafes? Check out this list of dog-friendly cafes. There are quite a few attractions in the UK that allow your well-behaved dog to accompany you, mainly those located outdoors. I also found it quite handy that many attractions have clear details on their website about whether they allow dogs, and what rules apply. If dogs aren’t allowed inside, some places will note what facilities they have for dogs to be left outside. If holidaying with a dog in the UK, it’s best to head to the countryside for the most dog-friendly options. 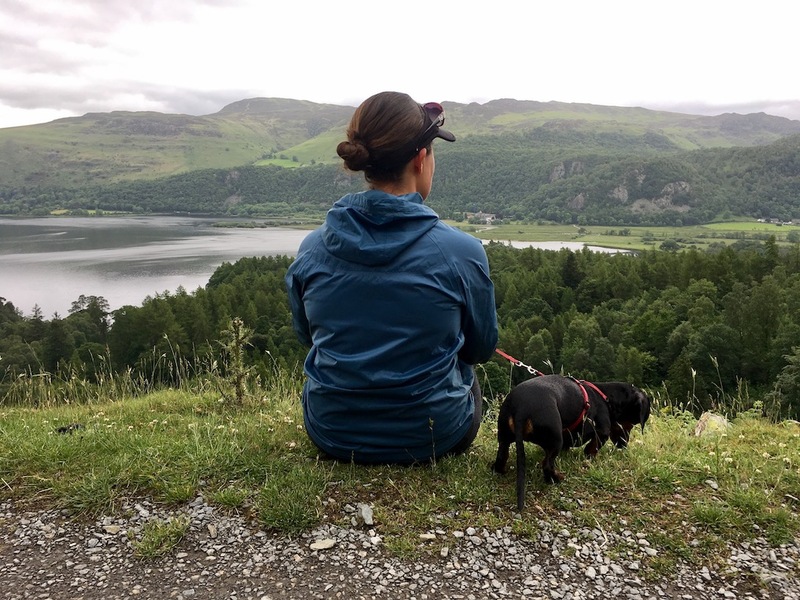 When I visited the Lake District, in the north of England, it seemed that every second visitor was accompanied by their dog! Other popular outdoorsy areas in the UK that are great to visit with a dog include Cornwall, Wales and the rugged areas of Scotland. Most hiking trails allow dogs, as long as they’re kept on a leash near livestock (be particularly careful during lambing season), and it’s great to finish up with a beer at a dog-friendly pub afterwards. If you’d prefer to have a city-break, check out this list of the best dog-friendly UK cities.